A remote ice machine is an ice machine that has a separate condensing (cooling) unit that is installed in a different location from the ice maker itself. This type of machine works just like a central air conditioning system on a house where the condensing fan is installed outside the home but is configured in a way so it cools the inside of the home. Many businesses prefer remote ice machine for a variety of reasons. Here are our Top 5. Ice machines are designed to produce continuous batches of ice per day. In order to be able to do this, these machines must transfer and push out a significant amount hot air from the machine. This is why air conditioning units are installed outside of the house: it would be counterproductive to have it installed inside since you would also be cooling the machine itself. The same is true with ice machines. As the size of the ice machine gets larger, the amount of heat expelled increases. An ice maker with a remote condenser won’t increase the indoor temperature of the space since the hot air transfer takes place outside where the condenser is placed. When you’re trying to run a restaurant, the last thing you need is more noise. Remote ice machine condensers are often mounted on the roof of the building, with the refrigerant lines running between the ice machine and the condenser unit. The condenser operates the compressor and fan, which causes the majority of the noise for any ice machine. This results in the ice maker that is operating inside being very quiet. This means your customers and staff won’t notice it when they are inside, unlike a traditional air cooled ice machine. #3 – How Much Ice am I Really Producing? If you read the actual ice production rates off the manufacturer specification sheets you will be surprised to learn that it is normal to produce almost 30% less ice than that actual claim. This is due to the operation temperature of the ice machine. In this case both water cooled and remote ice machine offer you true production numbers since they are designed for hot environments and will give you close to the actual ice production rates of each ice machine. If you plan ahead, it is often possible to tie in multiple machines to one remote condenser. While this has to be planned out in advance, it can offer a cost savings by having less equipment on the roof tied to multiple pieces of equipment inside. This will save you on equipment costs and installation. 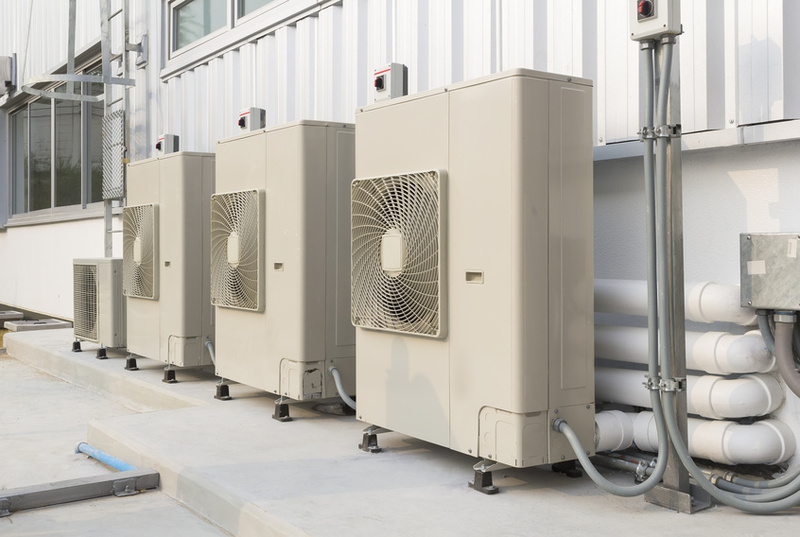 A proper refrigeration tech could even install a larger condensing unit with the plan to grow and tie in additional units as needed. A remote ice machine is very efficient in hot climates where this type of equipment is almost mandatory. In the southern part of the US where temperatures can reach 100 for weeks at a time, your air conditioner is already being maxed out. Having an air cooled ice machine in your location will only force it to work harder by having to cool the heated air from the ice machine. A remote condenser is designed to be used outside and will keep the hot air from the ice machine outside . While there is an added installation cost of a remote unit, the benefits often outweigh the upfront costs.